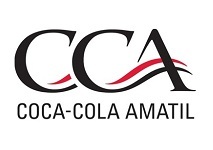 Coca-Cola Amatil, a manufacturer and distributor of beverages in the Asia-Pacific region, has announced the closure of South Australian manufacturing facilities in 2019 and the investment of A$90 million ($69.4 million) of capital expenditure in its Richlands manufacturing facility in Queensland, Australia. The new investment is said to include installing “a new glass production line and new dairy and juice production capacity”, as well as optimising the firm’s logistics network and modernising its supply chain by transforming the Richlands plant in to “a new, expanded, automated facility, generating greater capacity” across a wider range of products ,while having lower operating costs. It is stated that the closure of South Australian facilities “will deliver a further $20 million ($15.4 million) in cost savings from 2020 beyond the additional $100 million ($77.2 million) in cost savings to be delivered by Australian Beverages over the next three years”.